Austria is back at Eurovision! After an absence of three years, the ORF has decided to return, so this year it’s going to be the 44th time for Austria. It seems that some countries have lost the interest in the ESC, this can have different reasons like budget issues in Luxembourg or failures like in Monaco and Andorra. Austria seemed to be a bit insulted of the contempt in regarding points, the immense growth of participants especially in Eastern Europe. After Germany’s success with “Satellite”, hence Austria has been inspired to create something similar, a big national final with contemporary songs. Austrian entries haven’t been that successful recently, but in the past there were several Top 10 positions and one great victory “Merci Chérie” by Udo Jürgens (#1) in 1966. There were some unforgettable Austrian entries: “Hurricane” by Westend (#9) in 1983, “Boom Boom Boomerang” by Schmetterling (#17) in 1977 or “Die Zeit ist einsam” by Timna Brauer (#18) in 1986. Nadine Beiler is the Austrian representative this year with “The secret is Love”. This is a beautiful ballad with an interesting hook. Judging be the video clip which was taken from the national final, she has a special charisma, a certain tenseness can be felt in the atmosphere of the song. Nadine has a very powerful and strong voice, which seems to be perfectly made for this song. 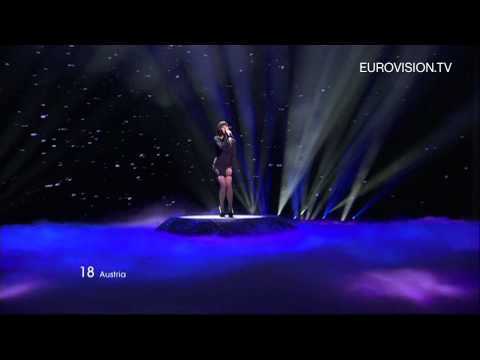 This entry can be taken as an insider’s tip, a great finalist with lots of potential to be a winner of the ESC. Wise choice Austria!